Reapit’s commitment to providing outstanding customer service has once again been recognised by one of the biggest property awards schemes in the UK – the ESTAS. We are the only CRM software provider to have been shortlisted in the category for Best Supplier. Last year, Reapit scooped the Best Supplier award for Software and the team are hoping to repeat this success at Grosvenor House on the 20th April. 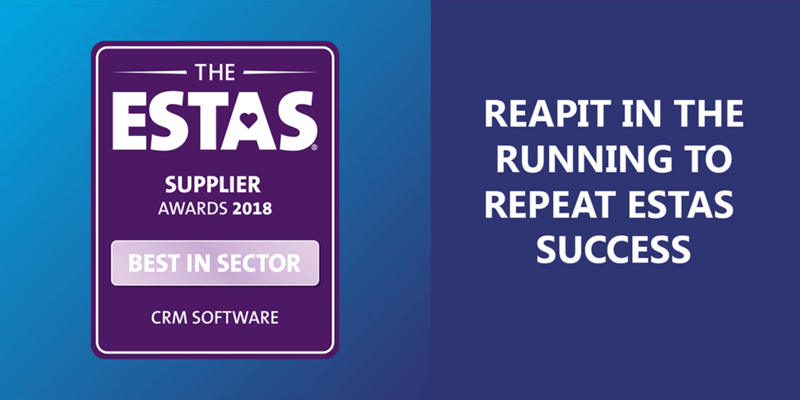 This year marks the 15th annual ESTAS ceremony and Reapit is delighted to be supporting the event along with JET Software, Reapit’s exclusive reseller for the small-business edition of its software. Over 36,000 customer surveys were completed throughout the home moving process by sellers, buyers, landlords and tenants – a record number of submissions. Reapit clients amongst those shortlisted include Michael Poole, Webbers, Balgores, Kimmit & Roberts, Hamptons, John D Wood and various Countrywide brands.